I'm still waiting for the MFJ-1788 Mag Loop I have ordered. 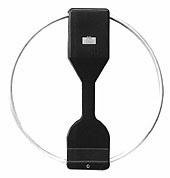 One of the reasons that I decided to choose this antenna was all the good reviews I found on different websites. I'm living in a row house and has no opportunity to put up any outside antennas. I will try the Mag Loop inside the guest room I also use as my shack.